Ninety-one percent of the total enrollment of Cubay Elementary School has attended the first day of classes. The teachers didn't waste any single minute doing the classroom routine of cleaning, sweeping, watering the plants, among others. They right away started their regular classes. 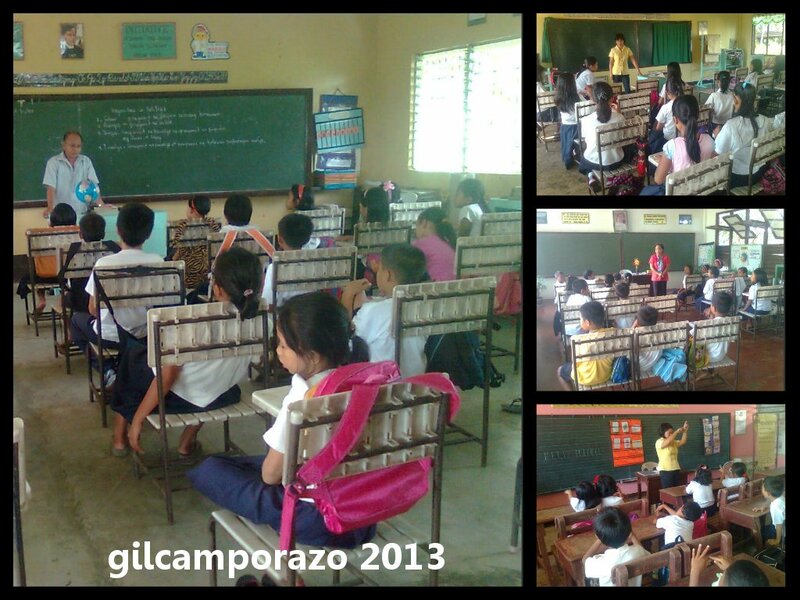 Their efforts have been largely saved by Brigada Eskwela wherein the school has been prepared two weeks before in a national week maintenance which was conducted on May 20 to May 25, 2013. Pupils in their school uniform arrived early in the school. Parents, guardians, brothers and sisters went along with their respective school goers. Several minutes after the flag ceremony, education program specialist Ruth Convite and district supervisor Salvacion Española arrived to monitor the actual attendance of the pupils and noted enrollment related problem. The grade two class of Mrs. Ma. Luisa Y. Niere was overpopulated. She has 55 pupils in one section, which is not ideal enrollment of grade two, a foundation grade to higher grade. I did my first class visit and observation to my 13 teachers after the flag ceremony, I started with kinder class, then to primary classes and to intermediate classes. I noticed teachers were prepared. They taught their first lesson. I even mistook that it is already in the middle of the school year for the way the teachers were doing their teaching job. I couldn't imagine how the parents and the children have given importance to the first day of classes. Before, pupils' attendance was so limited. Usually second week of the month of June, pupils' attendance was favorable. It is the tradition of the pupils and even their parents to extend their summer vacation. But not in this school year 2013 -2014. At least they have learned and they have changed their negative attitude. DepEd's national early registration has played a great role on the high attendance of the pupils in the opening of classes. Just like what had happened to our pupils' attendance. Our teachers campaigned for the whole day of January 26 to enlist or enroll prospective 5 to 6 years old children in the community wherein our school is located. 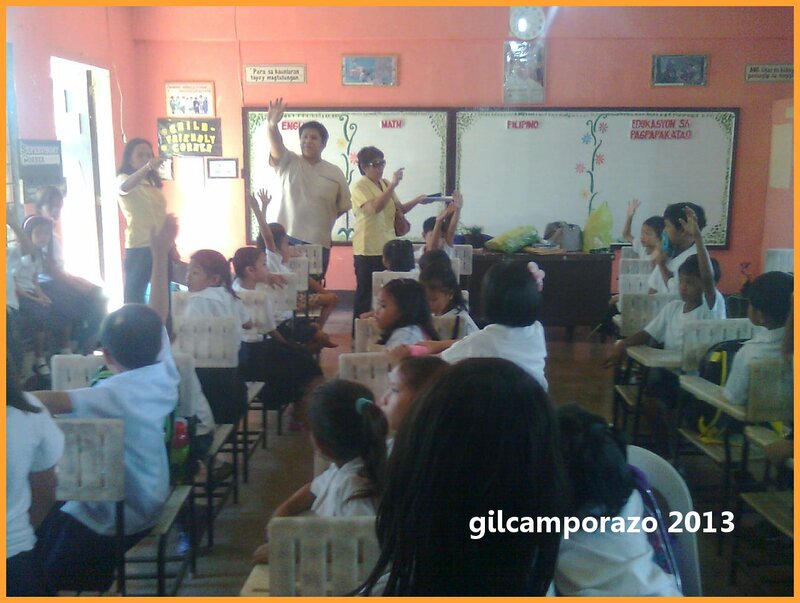 Besides the barangay council, the Daycare centers, the external stakeholders like the PTA officers and the parents had done their share on preparing the school's ground, facilities, and classrooms for the opening of classes during the Brigada Eskwela. By the way, my school, Cubay Elementary School is a complete public elementary school with barely three hundred population of enrollment for this school year. It offers preschool curriculum, grades one to six basic education. 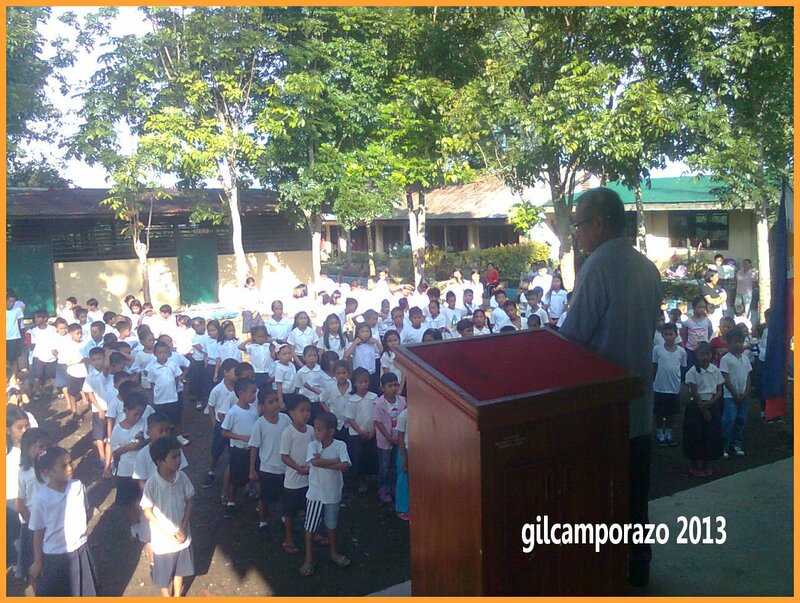 It is one of the 23 elementary schools in the Division of La Carlota City. It is situated 5 kilometers from the city and it could be reached via motorized tricycle. Nice to see the students back to school. It must mean that busy days are back for you. It's really nice to see that students (and even parents) are taking education more seriously. I just hope that other public schools' situation improve soon as I've seen in the news how a lot of schools are overpopulated and lacking proper classroom environment. June 17 is our first day. I'm sure it would be a busy but wonderful year for my son. It is good to know that everyone is willing to participate "Brigada Eskwela"
I can see you have nice classrooms there, the students looked comfortable and not over-crowded. Same wish as Sumi that all public schools specially here in Metro where thousands of students and even teachers suffer due to lack of classrooms, books and chairs. It's great to see students back to school. 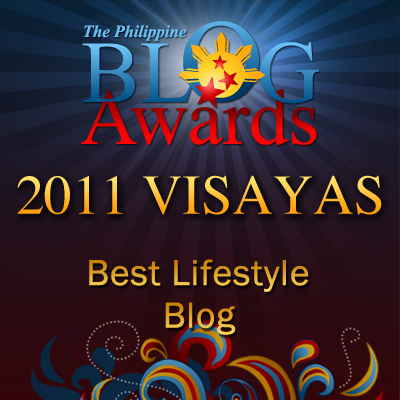 I remember my days in elementary in our barangay. I do hope that overpopulation of students in every classroom will be given resolution as it will not really conducive for learning.